The 2014-15 television season is already underway with the cancellation clock ticking on FOX’s “Utopia,” critics lamenting the lack of creativity on NBC’s “The Mysteries of Laura” (a show I didn’t review but found more meh than monstrous) and viewers trying to cope with the quirk overload of FOX’s “Red Band Society,” aka “The Fault in Our Stars: The TV Show.” I’ve been covering TV for over a decade now and this really is the first time I’ve been out of the gate with a new series review after the starting gun had been shot. It may say something about my workload (I did see 40+ movies at TIFF) but it also speaks to the relatively lackluster crop of new shows this year. There’s NOTHING to get excited about. There are a few shows for which I’ll shrug my shoulders and opine something along the lines of, “Sure, if you have nothing else to do.” But there’s no “Hannibal.” There’s not even a “Brooklyn Nine-Nine” or a “The Blacklist.” It is a mediocre crop through and through, merely further reminding one how much quality television has migrated to cable and streaming services. But we can’t give up. A few of these shows will become hits. A few will even improve creatively to become worthy of their hit status. And so I’ll be popping up over the next few weeks with my thoughts on new and returning shows including “How to Get Away with Murder,” “Black-ish,” “Selfie,” “Manhattan Love Story,” “Gracepoint,” “Stalker,” “Mulaney,” “Bad Judge,” “Marry Me,” “A to Z,” and more. We’ll start with three dramas that display a bit more long-term potential than most given their unique premises and rock-solid production values. Again, even this trio is unlikely to set next year’s Emmys on fire, but they’re three shows that offer something a bit different than another “NCIS” spin-off. And they all premiere Monday, September 22nd. Which will survive past Christmas? Only you can decide. The most highly-buzzed new program of 2014 is also one of the most promising. I’m not here to sell you on “Gotham” as a direct descendant of your favorite incarnation of the universe of Batman—whether that be Burton, Nolan, or West—but this is solid, confidently made television, the kind of programming that has me interested in where it’s going next thanks to high production values and an expertly assembled cast. Completely rewriting the canon in a way that will surely drive DC purists nuts—Selina Kyle (Cameren Bicondova), who will one day become Catwoman, witnesses the murder of the Waynes for Frank Miller’s sake!—the creators of “Gotham” take the basic archetypes, themes and structure of the Batman legend and run wild. And so we also meet Oswald Cobblepot (Robin Lord Taylor), who will one day become The Penguin, but is now merely a sniveling foot soldier for the crime lord Fish Mooney (Jada Pinkett Smith, the only element of “Gotham” that feels miscast). There’s even an appearance by Edward Nygma (Cory Michael Smith), the man who would be The Riddler. And, of course, what’s a Batman mythology without an Alfred Pennyworth (Sean Pertwee)? I haven’t even discussed Gordon’s fiancée Barbara (Erin Richards) or the other detectives in the Gotham P.D. 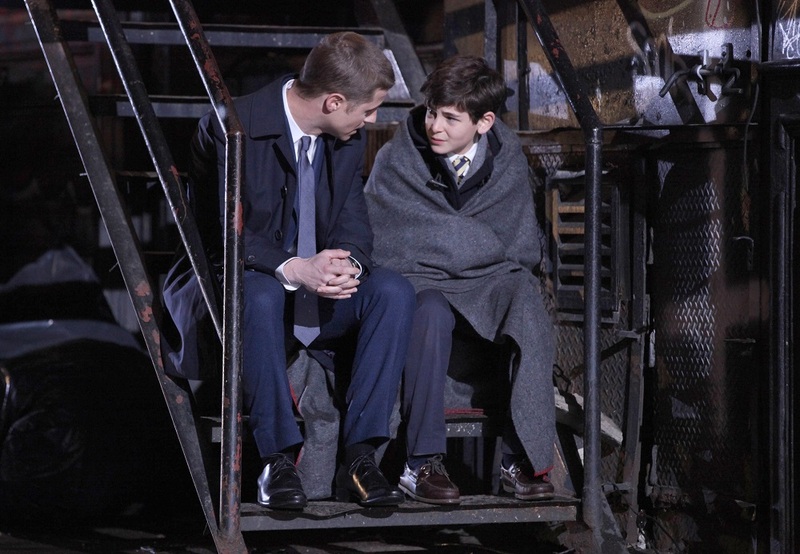 To be blunt, the first episode of “Gotham” feels crowded and sometimes rushed, making it hard to discern what the show will be like long-term. The premiere has to cram in the inciting incident of the Batman mythology, carve out Gordon & Bullock as their own characters, give us a new villain in Mooney, present a little bit of home and work life for our leads and make nods to Penguin, The Riddler and Catwoman. It is inherently going to feel cluttered. Will the next few weeks see a show that settles into its own groove or a program that feels as eager to please a fan base as the premiere? I hope it’s the former. 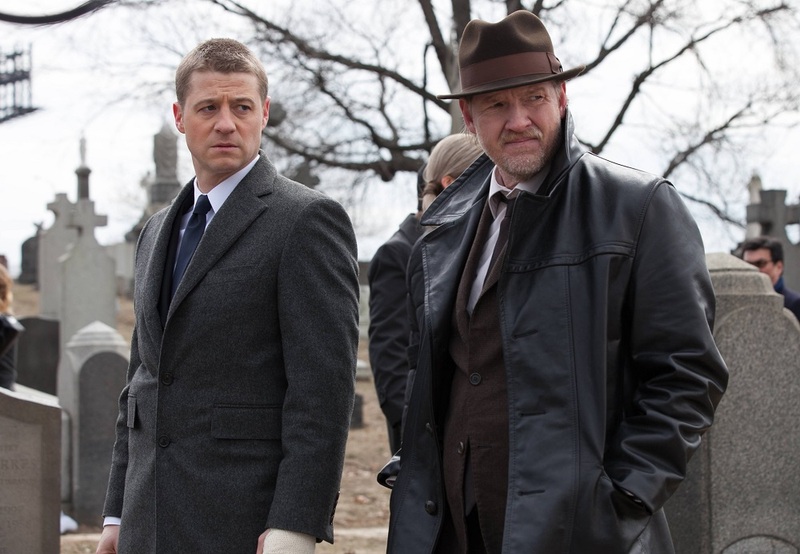 The referential aspect of “Gotham” needs to end so it can carve out its own mythology. And the talent is here for it to do so. McKenzie is a great choice for Gordon, the kind of square-jawed, All-American leading man who one can believe would turn into Gotham’s greatest hero’s greatest ally. I loved him on “Southland.” I’m happy to have him back. And if I need to tell you why Logue is great, you haven’t been watching TV for the last two decades. He’s just always phenomenal. Let them take center stage. Let them guide the show instead of references to DC characters, and I’ll stay tuned in. Who would have guessed that the most influential character on the modern mystery even in 2014 would be Sherlock Holmes? At first glance, one might not make the connection between Sir Arthur Conan Doyle’s legendary creation and ABC’s latest fantasy/mystery offering, but the ties are crystal clear by episode two. I have my doubts that “Forever” will stand out on a crowded Monday night, but ABC has a remarkable ability to turn even the most unusual premise into a hit, and are often more patient with shows than their competitors. 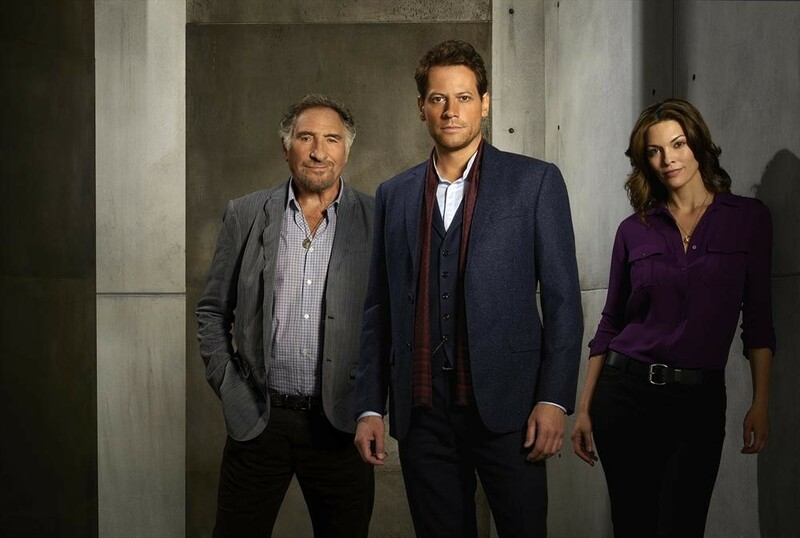 Dr. Henry Morgan (Ioan Gruffudd) can’t die. For reasons he can’t explain, every time he should die, he wakes up, naked, in the water, often in the Hudson River. He’s spent centuries trying to figure out the curse of immortality, which has taught him a thing or two about human nature and crime-solving. He can speak Latin, pick up clues others can’t, is socially awkward and has a sidekick named Watson. Kidding about the last one, although Judd Hirsch as one of the few who knows Morgan’s secret fills the role nicely. The undead doctor actually partners with Detective Jo Martinez (Alana De La Garza), an NYC crime-solver who senses something different about this mysterious medical investigator. Created by Matt Miller (“Chuck,” “666 Park Avenue”), “Forever” makes for a breezy hour of entertainment that is nonetheless remarkably forgettable. It’s one of those network dramas that’s never offensively bad, but fails to take real advantage of its concept. Morgan has lived forever, and yet the show has almost no real atmosphere or depth of character to speak of (although it did make me consider what a show based on Jim Jarmusch’s “Only Lovers Left Alive” would look like, with its two protagonists who really feel the weight of having been around for ALL of it.) There’s no gravity here. No weight to the character or his unique ability. It’s just a gimmick to find SOME new way to tie in to the “Sherlockian” subgenre. Although one thinks that if Sherlock had lived forever, he might have turned into a more interesting guy. Much like “Forever,” CBS’s latest drama features a protagonist who has intellectual ability that far outweighs his lack of social skills. Walter O’Brien (Elyes Gabel) is a genius. He has been so since he was a child, catching the attention of national security when he hacked into NASA to get blueprints to hang on his wall. At that young age, he caught the eye of G-man Cabe Gallo (Robert Patrick), who used the poor kid in ways that no child’s intelligence should be exploited. Walter left the business of keeping us safe, but he’s called back in when it looks like he could be the only person to avoid an aviation disaster. The pilot of “Scorpion” is mere set-up for what looks like it will be a case-of-the-week show for a group of geniuses not unlike “Numbers” or CBS’s nearly trademarked weekly mystery series like “NCIS” and “CSI.” Walter has a group of cohorts in episode one that includes Happy Quinn (Jadyn Wong), Sylvester Dodd (Ari Stidham) and Toby Curtis (Eddie Kaye Thomas), and he teams up with a waitress named Paige (Katherine McPhee) and her autistic son in the premiere. It turns out that Paige is exactly what this group of social misfits needs: a translator. She’ll help them understand the real world; he’ll help her understand her son. I have fundamental issues with shows that use the mental well-being of children as a plot device and “Scorpion” does so multiple times. It’s also a show that seems to be playing games with the mental illness of its lead. I’m sure we’ll learn more about Walter’s condition, but now it feels like a cheap device. 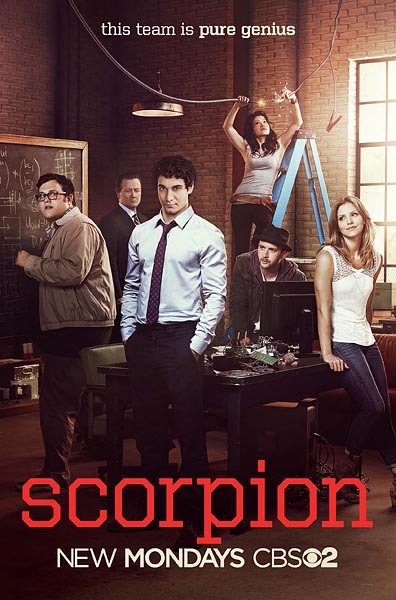 Having said that, “Scorpion” definitely features the CBS brand of production values. It’s a well-paced diversion after a long Monday night. If you don’t think about its underlying exploitation of mental illness, it’s easy enough to get lost in and forget about the troubles of the real world. And given the lack of truly challenging, intelligent programming on the networks this year, just a chance to escape may be all we should expect. Next Article: Home Entertainment Consumer Guide: September 18, 2014 Previous Article: Defying Explanation: The Brilliance of David Lynch's "Eraserhead"